Sharekhan continues to remain selectively positive on midcap stocks where valuation is reasonable, backed by good management and strong growth outlook, Hemang Jani, Head - Advisory, Sharekhan, a subsidiary of BNP Paribas said in an interview to Moneycontrol's Sunil Shankar Matkar. Q. Many brokerages have raised price targets while maintaining positive stance on corporate banks. Do you think the worst is over for the sector? A. On account of peaking NPA cycle and improved credit outlook, we find retail-focused and large corporate private banks attractive at present times. These banks would also be aided by falling bond yields. Q. Midcaps are at a 6-year discount to largecaps currently. Do you think it is the right time to add midcaps to your portfolio? A. We continue to remain selectively positive on midcap stocks where valuation is reasonable, backed by good management and strong growth outlook. Some of the ideas that we like in this space are Aarti Industries, Atul, V-Guard Industries, TCI Express, Lumax Auto and Dishman Carbogen. Q. Auto stocks corrected significantly in 2018 and now December sales numbers added to investors disappointment. What is your expectation from the space in 2019 and do you see more downgrades going ahead? A. Q3FY19 saw a confluence of adverse events for the auto space. Steep rise in insurance costs and fuel prices, NBFC-led liquidity squeeze coupled with year-end slowdown struck automotive companies, which are expected to report flat earnings. With a correction in oil prices, government's efforts to ease liquidity situation and correction of higher inventories undertaken by most players, we expect volume growth to improve from Q4FY19. With gradual volume improvement and recent correction in commodity prices, earnings growth is also expected to improve from Q4FY19. Preferred Picks: We prefer M&M given new launches in the auto segment, which would enable it to regain market share in the utility vehicle space and likely pick-up in the tractor segment. We also like Maruti Suzuki given the expected recovery in volumes from January 2019 due to the recent steep correction in fuel prices, which would improve buyer sentiments. Further, favourable currency movements would ease cost pressures. We also like Escorts given market share gains in the tractor segment and its focus to expand its presence in exports markets. Based on a healthy new product pipeline, we also like TVS Motor Company as it is well poised to outpace the industry. Q. What are your expectations from markets in 2019? A. Though we are entering the New Year on a sombre note, the scenario is turning favourable for the equities now. The easing of crude oil prices, persistent weakness in inflationary trends and the easing of bond yields has resulted in a marked improvement in macroeconomic conditions – an important pre-requisite for a rally in Indian equity markets. And finally, earnings growth is set to revive meaningfully in FY2019-20, primarily driven by a reduction in of NPA-related provisioning requirements for banks. 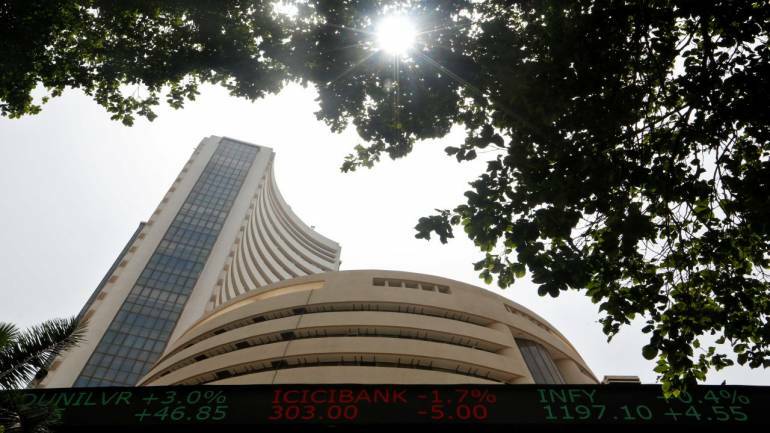 The changing fortunes of three corporate lending banks in Sensex—ICICI Bank, Axis Bank and State Bank of India—would generate sufficient push for earnings to grow at close to around 20 percent in FY20. Q. What risks (global and domestic) should investors stay wary of in 2019? A: Slowdown in major global economies like the US, Europe and China could have bearing on the market. On domestic front, general election outcomes would be major event to watch out for. Volatility in crude price could also have bearing on domestic market. Q. Investment themes you think could give a hefty absolute return in 2019? A: We retain our overweight position on IT services, consumer discretionary, industrials and insurance companies.